Photoshoots are a fun way to capture memories without the commitment of paying for a full photo session. Mini sessions are becoming the go-to alternative for couples and families who are looking for a quick and stress-free option for capturing a few images. All of the information below will help you decide if one is right for you and your family. Below are just some of the many benefits of a mini session. 1. A mini session is first and foremost a much more affordable way to try out a photographer ( just saying I might be a good choice...) and still capture beautiful images. 2. If you are strapped for time, a mini photography session is perfect. Mini sessions are scheduled for 30 - 40 minutes. 3. If you are feeling a bit nervous about being in front of a camera then you’ll be glad to know that a mini session are quick and you will be having too much fun to be nervous. 4. 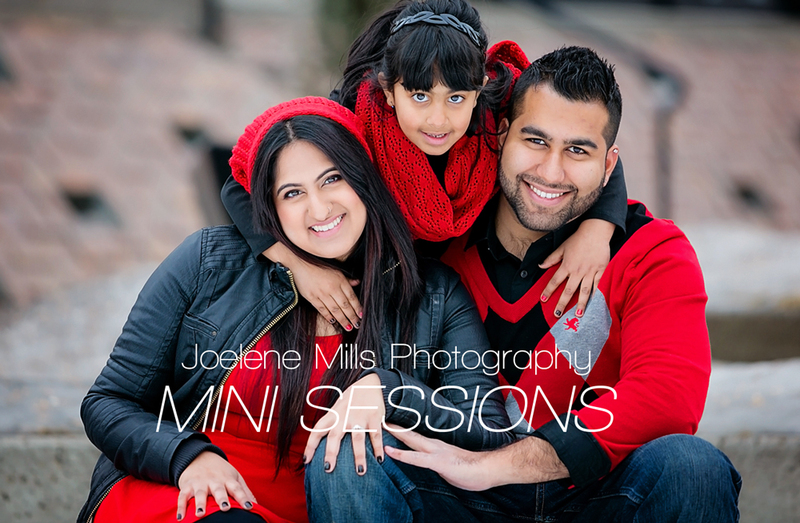 A mini session is a parent’s dream due to it being quick and light-hearted. Great for capturing photos with younger children because they lose interest fast. 5. If you aren’t looking for tons of photos but instead want one or two amazing shots then this is definitely the ideal option for you. What is included in the price of my session? The mini photo session includes a “30 - 40” minute session, a proofing gallery and “x” number of final edited images selected by your photographer. Your photos will be posted in an online gallery within “x” days after the session. At that time I will also issue you a dropbox link where you can download the final images that were included in your session fee. What is required to book my space at your mini session event? These sessions are limited and available on a first come first serve basis. Due to high demand, I require the full amount to be paid in order to reserve your space at my mini session event. There are no refunds if you cancel within 72 hours of the scheduled mini session event. However, the fees you paid can be applied to a regularly priced session in the future. Where will the mini session take place? Your mini session will take place at a beautiful outdoor location that we agree on together. Do I need to bring anything along to my photoshoot? Please bring along any props that you might like to include in your photo. If you are bringing younger children to the session, it’s always a good idea to bring some water, snacks and a small toy along too. Please try and arrive 5 – 10 minutes before your session is scheduled to start so that there are minimal delays. Please dress and prepare for the weather. If it is cool outside, big wooly sweater and fuzzy mittens are great! If the session does include small children, I suggest that they are fed and that they have used the restroom before we meet.